Getting a new mobile handset is a really exciting deal. There are so many really brilliant phones on the market you can get a little bit of handset envy and be left wanted to own loads of them. It is no wonder as there really are some amazing phones out there and we totally understand needing to own the one you really want. Huawei has taken the mobile phone market by storm and rising to the ranks of elite handset producer in a very fast time. They have a range of handsets that are beautifully designed and packed full of some of the latest mobile phone technology, so it is little wonder they are so popular. Camera technology their signature move and their handsets boast some seriously weighting photography equipment, supported by Leica who of course are camera giants in their own right. Their handsets are packed with cutting-edge technology and run on the Android platform making them really popular. 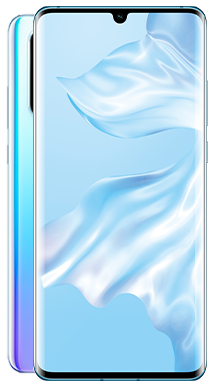 Their new releases hit the shelves in October 2018 and were a trio from the Mate 20 series. Here at Fonehouse, we are committed to helping you get your hands on the phone you really, really want, so we have set our best deal finders to work. They have searched high and low for the best pay monthly contract deals for Huawei handset, and we are so delighted with the range they have found for every handset we have on the shelves. We are confident that this means you will find the deal that you want at a price that you can afford. So, if you are looking to add a Huawei handset to your armoury then have a browse of the deals we offer. They have exceptional quality and style which cannot be underestimated. We have a massive range of deals on their latest handsets as well as some of the older ones, so you will find what you need. This is the flagship phone and has only just hit the shelves. The Huawei Mate 20 Pro really is an impressive cutting edge phone that offers many features including a triple rear camera set up, two-way wireless charging and the ability to charge from 0-70% in just 30 minutes with the super fast cable that comes with the handset. We have managed to find a range of deals that include no upfront cost options and this is a handset that is going to be flying off the shelves. Also released this year, this is a slightly cut down version of its big brother and is a stunning infinity screen phone that has a real premium feel to it. Packed with some serious functionality and under the hood processing power, this is going to really excel in the marketplace. Our team have been hard at work getting the best possible deals so you can really enjoy this handset and still come in on budget. Another stunning premium level handset, a great deal of thought has gone into the Huawei P20 Pro, with a front fingerprint scanner under the display and a notch at the top this is another really cracking infinity screen display with some serious processing power. We have found a great range of deals for you if you are looking bag this phone. The Huawei P20 has a stunning design which we would describe as elegant beauty, and it looks seriously sophisticated. A true sight to behold, the stunning glass design and the absence of bezels really set this phone apart and is typical of the design we have come to expect from Huawei. The Huawei P20 is the mid-range handset of the three new P20 series, and we are delighted to offer some really amazing deals. 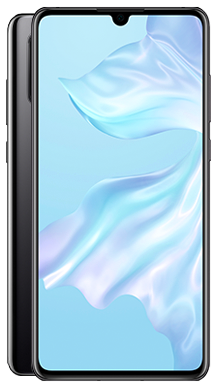 Sitting at the third but by no means least of the P20 series, the Huawei P20 light brings high-end technology to a lower budget and opens up the affordability to more potential customers. Featuring a lot of the amazing technology shared with the other two handsets we have managed to create a simply breathtaking range of deals for you to choose from, there really is something for everyone here. This handset is considered to be in the mid-range area, but it really doesn’t miss a trick. The design is sleek and stylish, and the handset has a range of technology that we have come to love from mobile phone giants, Huawei. It is a massively popular handset, and it will continue to be a really smart choice for a long time to come. Our team have been hard at work finding the best deals that really can suit every budget, so why not add this to the short list. We are proud to offer free next day delivery on all of our handsets, and the Huawei handsets are no exception. Once you have chosen the phone for you and the best deal to go with it, simply place your order, and we will get your order shipped and in your hands for the very next day. This is a free service and won’t cost you anything extra. We have a range of deals that come with no upfront cost, meaning you can have the handset for free. Our trusted network providers at Vodafone and EE have worked with us to make sure we can offer you the best deals, which include a variety of data packages, and a range of unlimited texts and talk time enabling you to pick the deal that suits your needs best. They also offer a range of free gifts, and lots of the deals come with cash back which brings your monthly payment down and gets you more for less, and who can argue with that! Our brilliant customer service team can be reached on 0333 900 1133 so if you have any question on any of our Huawei deals then why not give them a call.